It's Tuesday, May 22, 2018 - it's time to GET CONNECTED! There was a monkey on the loose in Texas! Can you imagine seeing him wandering around an airport? 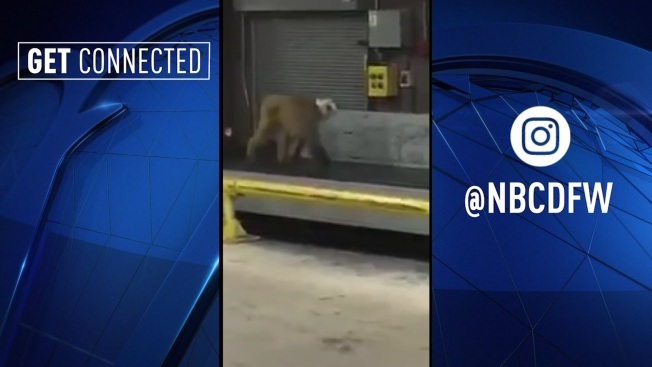 Dawkins escaped from his crate at San Antonio International Airport and ran around the baggage area. The little guy had to be tranquilized, but he's now safe and sound at home. Regina Merson was born in Mexico and raised in Dallas - she developed "Reina Rebelde" to celebrate Latinas. "I really wanted to do something that gave back to the community, was impactful hopefully, and made people proud to be Latina," said Merson. Her line is one of Target's new beauty brands designed for medium and dark skin tones. On this travel Tuesday, here are some tips from AAA to prepare. Check your tires with a pressure gauge. Also, get them rotated every 5,000 miles. Finally - and this is the easiest one - look them over regularly. Meet 3-month-old Olivia. She just had a heart transplant that she received from another baby. We've been following her journey on twitter with #LivStrong. "We recognize nothing is promised," said Olivia's dad, Dallas ISD Trustee Miguel Solis. "We've never had a day promised to us since the day she entered this world and tomorrow won't be promised, either." Olivia has a long recovery, but her dad says now she has a little angel who will always be with her. LivStrong, indeed! Read more here.